Ready, Set, Kimono! | Kimono, kitsuke, and wasai. Oh my! Okay, maybe it’s not “Official” official. Does anecdotally official count? Because that’s all I really have. But it does confirm in my mind what I’ve thought was going to happen for a while. But first, a little background. It seems like at least once a month, I come across a news article featuring someone in the kimono community bemoaning the decline of the industry. The master artisans are retiring or passing away, and nobody wants to learn the craft. These articles usually talk about their efforts to revitalize the industry by (1) getting younger people interested in kimono (2) making kimono more accessible or (3) creating new objects and projects using the same techniques that are used to create kimono. Here’s just a short list of articles that I’ve found in the past year or so along these lines. Newsweek: Can High Fashion Save The Kimono? In my mind, it’s simple supply and demand. As the artisans retire or pass away, the supply of hand-made silk kimono will dwindle. 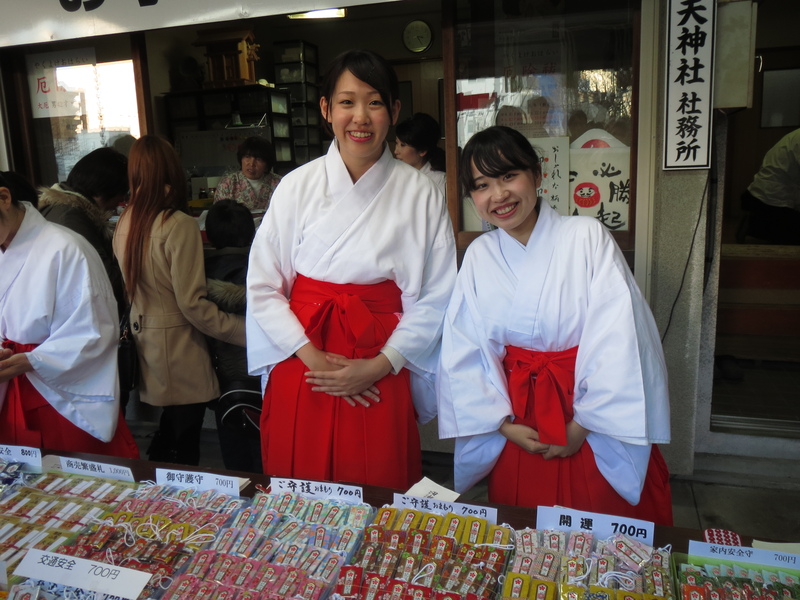 At the same time, these kimono activists are trying to increase demand for kimono to keep the industry alive. Something has to give somewhere and prices will rise accordingly. I’ve also heard some rumors in the past few months regarding certain secondhand stores (no, I won’t name names). According to what I’ve heard, a large chain of recycle kimono stores has struck a deal with a large chain of general recycle shops to supply them with kimono (for those outside Japan, recycle is the general term for a second-hand store here.) Sure enough, I have been noticing a rise in prices at that particular chain of recycle stores over the last few months, especially when it comes to well-crafted pieces like furisode, full shibori, or oshima tsumugi. However, for me, the final confirmation came this weekend when I was out shopping. My absolute favourite recycle shop is a local one (not a chain) that operates as an NGO/NPO. The workers there can’t get a job in the regular workforce for various reasons, so they get work experience at the shop. They get all their stock through donations, so when they sell it on, it’s really, really, cheap. I would find incredible pieces there for incredibly cheap prices. One of my favourite formal pieces is from that shop and I only paid ¥2500. 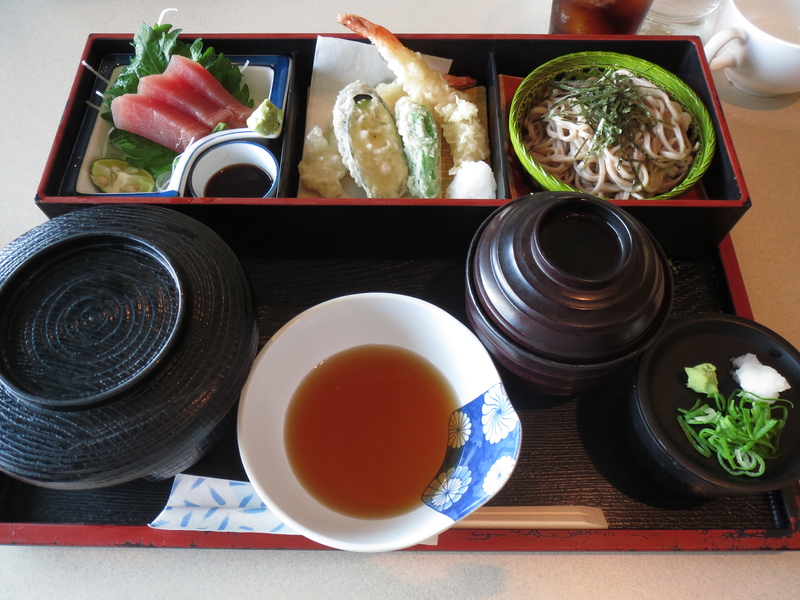 I routinely get kimono there for less than ¥1000, sometimes as cheap as ¥350. I think the most I ever paid for a single piece was ¥3000. It was very easy to break my wallet and I never left that store without something in my shopping bag and a grin on my face. But when I went there this weekend, I was hit with a case of sticker shock. There were very few pieces lower than ¥2000. With the fast turnover of this store, I’m betting the ones cheaper than that were just old stock that hadn’t sold yet. There was a gorgeous furisode that was on sale for ¥8000. It’s not an unfair price, but before that visit, I would have expected a price of ¥4000 or less. There was also an oshima tsumugi piece there for the unheard of price (for that shop) of ¥6500. Gasp! Shock! Horror! Yes, yes, yes, I know. Those prices aren’t all that bad. In any other location, I would have been happy to find those pieces at those prices. Just not at this shop. It would be like finding anything is a secondhand shop for full price. Even if it is brand new and still in the box, you don’t expect the price in a secondhand shop to be the same as in a retail location. BTW, I never do any kimono shopping online. If you do, please comment and let me know if you’ve noticed a price increase at all in the past year. I’d love to hear about your experiences! 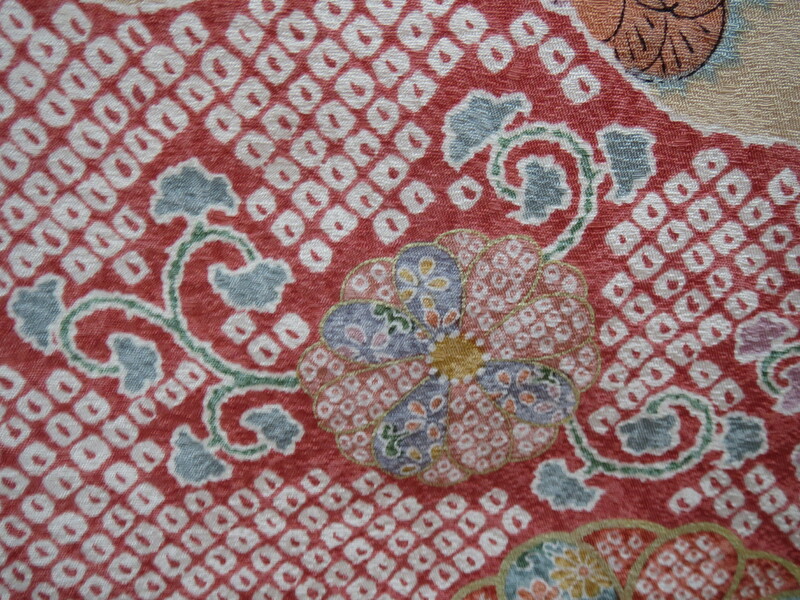 History: This motif is especially popular as a shibori motif, although it is possible for it to appear in other media as well. Its name comes from the resemblance to the spots on the back of a baby deer. 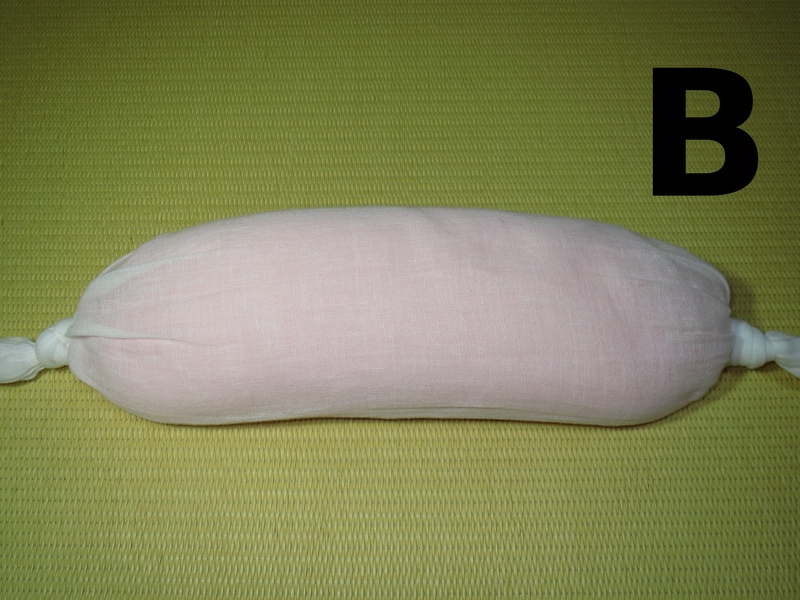 Identification: Kanoko can be divided into two broad categories, kanoko that is created using the technique of shibori dyeing, and kanoko that is created using other media. 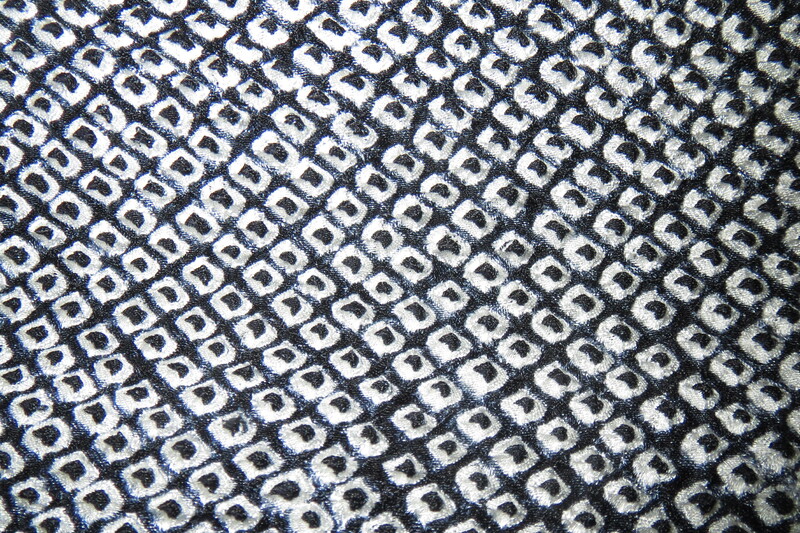 There are six different types of shibori kanoko, each with its own name, binding technique, and features. Not every technique features a photo, but I will update as I find examples. This pattern consists of squares with sharp edges, with the smallest possible dot spot of color in the middle. The dots are bound on the bias of the cloth, and when they are completed, they will be viewed on the diagonal in a grid pattern. 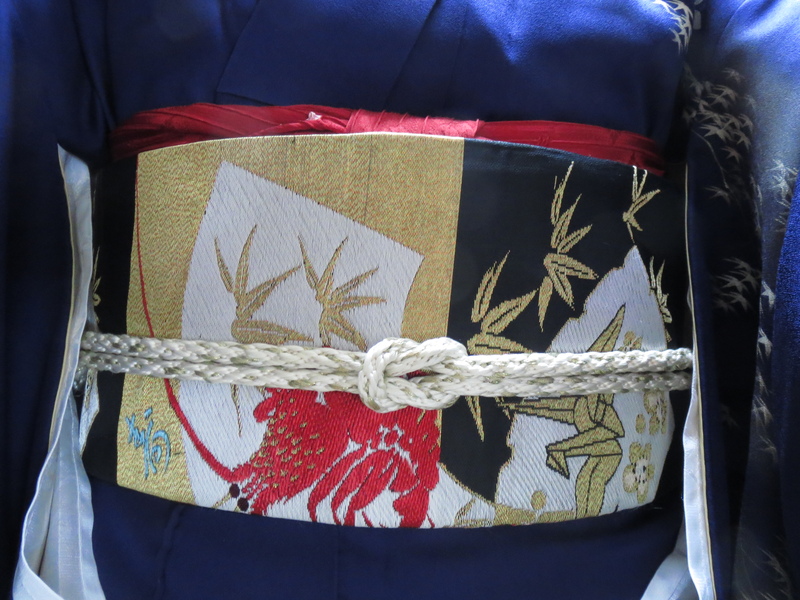 A kimono fully patterned with hon hitta kanoko (called sou hitta) is a highly prized garment. 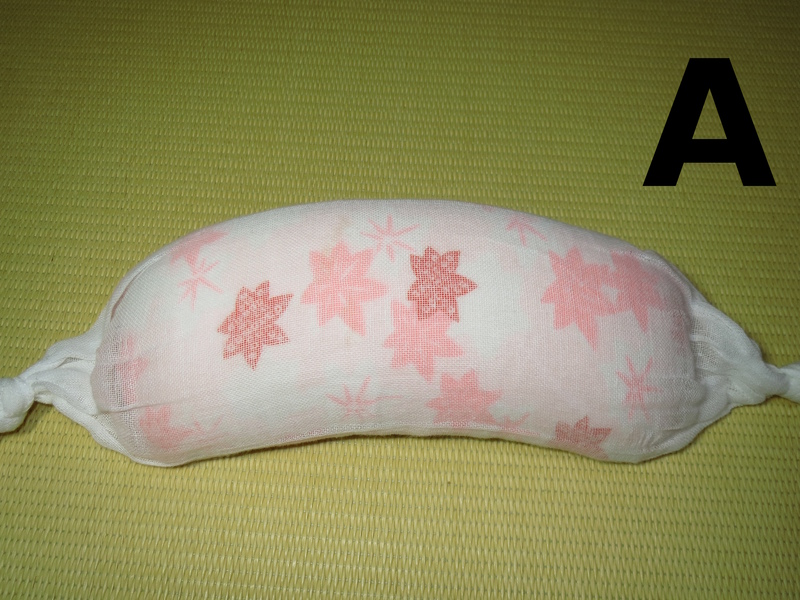 Hon hitta kanoko is the most difficult type of kanoko shibori to create. 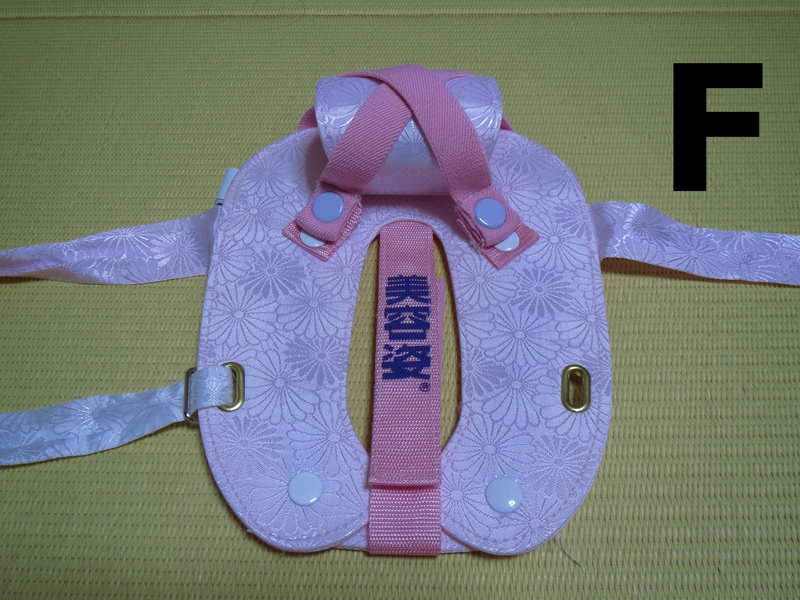 This pattern resembles hon hitta kanoko, except for a few key differences. The edges of the squares are not as sharp or crisp as in hon hitta kanoko, and the circles in the middle are larger and more irregular than in hon hitta kanoko. 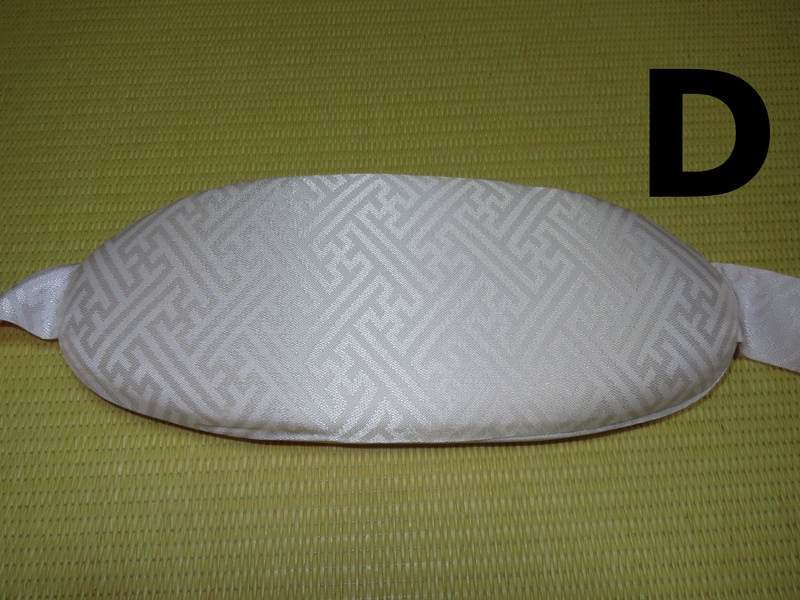 This pattern consists of square or rectangular rings that are irregular in size and form. Like its name suggests, this pattern consists of small dots, spaced close together and appear like beads on a string. These dots are usually used to create linear designs. This pattern consists of oval or almond shaped resisted (no dye) areas and a spot of dye in the middle that only takes up half the space available. 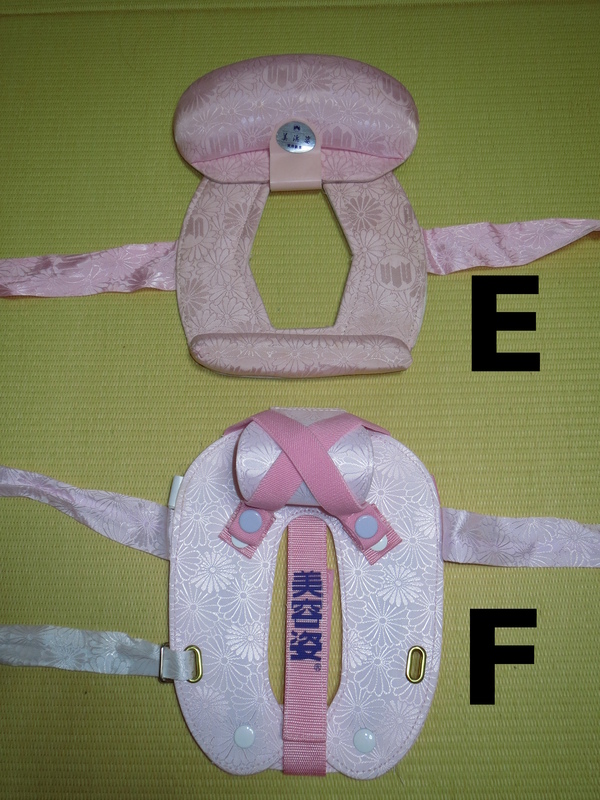 The pattern is a subtle and more subdued than hon hitta kanoko and is more appropriate for older women. 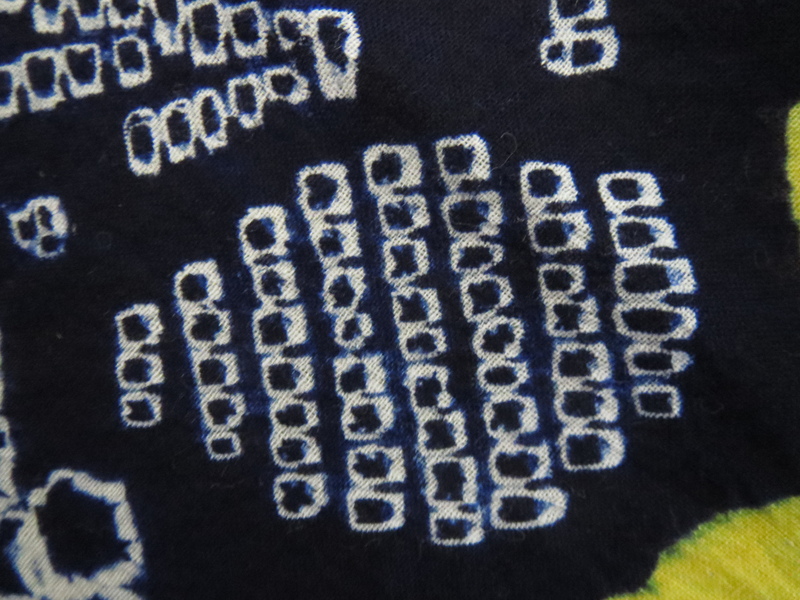 It is also a common pattern to find on shibori obiage. 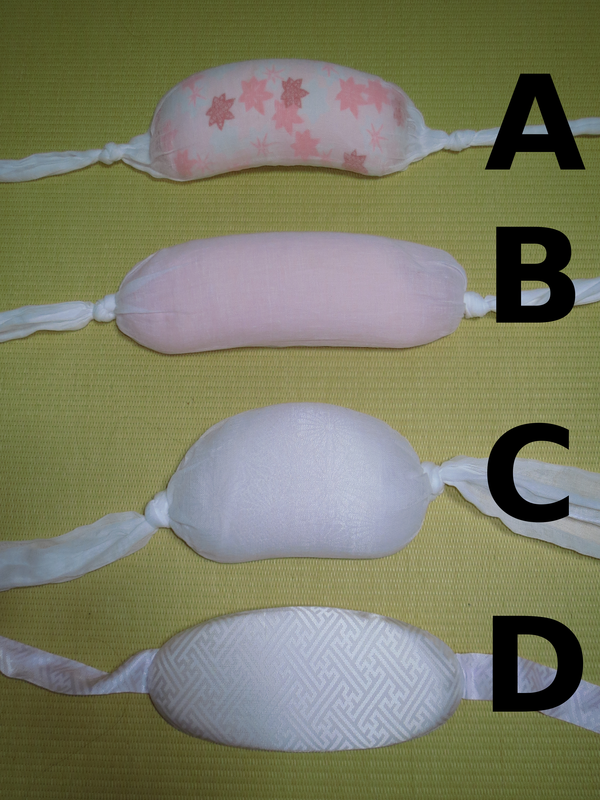 The following are examples of the kanoko motif that are not created using shibori. 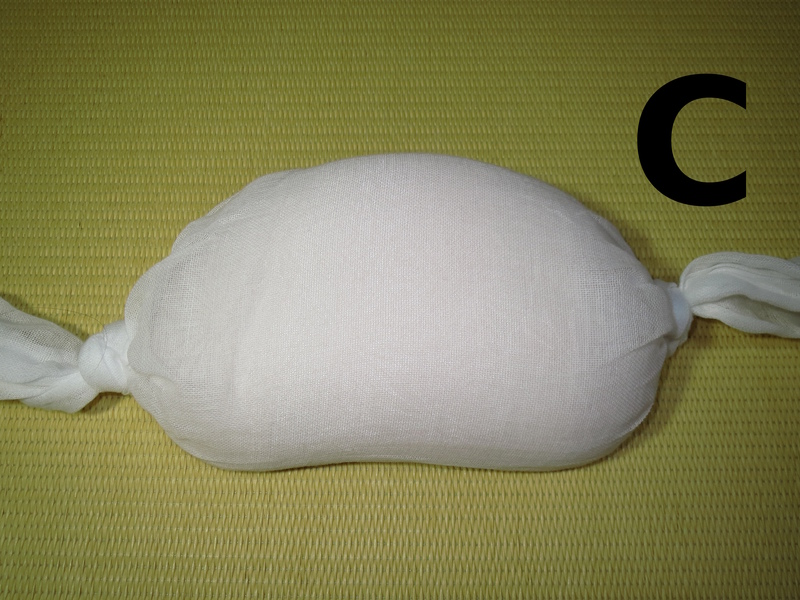 This kanoko mimics the look of hon-hitta shibori kanoko. 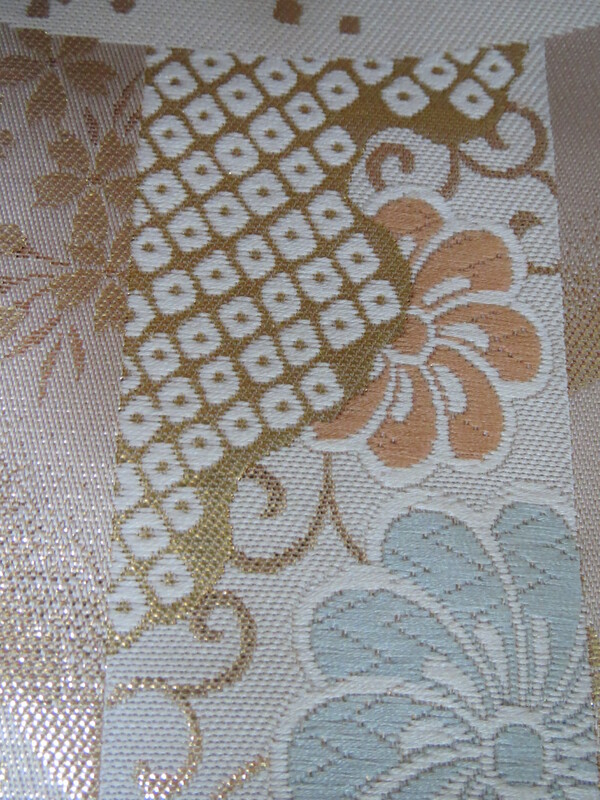 It has been woven into the pattern of this obi. These kanako dots have been dyed. Yes, it’s been a while. It’s also been a very, very busy December for me with lots going on. I hope you’ve enjoyed the Twelve Days of Kitsuke video series that I’ve been posting in the meantime. Here’s what been happening with me lately. First, I got to help some friends move into a new home just before Christmas. The house is a large, traditional style Japanese house with tatami flooring, sliding doors, and everything else you would expect to find. The last owner died around five years ago and the family now lives in the Kansai area. They have no interest in the house or contents and have been generous enough to let my friends (and me!) take what we want from the house. This is hue to me because between tansu and closets, there are around 100 kimono scattered throughout the house. I’m currently sorting them into three categories. Are you sure the family doesn’t want this valuable/possibly sentimental piece? Maybe you should double check before I give it a new home? These are incredible pieces that I would love to add to my collection! These are really common pieces that I already have or I can’t wear because they’re too small. My friends have asked me to help them choose kimono as gifts for family back home, so once the sorting is done, I’ll give them first choice from category two before I go to town! Next, I got to wear kimono for Christmas! And I forgot to take photos of it! Oh well. I was going out for Christmas dinner with some friends and I had some restrictions I had to think about when I was choosing my outfit. First, I knew that smoking was going to be an issue at the restaurant. As would strong food smells. I didn’t want to wear silk just because I couldn’t wash it afterwards to get all the smoke and food smells out. That limited me to my polyester collection. I also had to balance between wearing enough layers to be warm on the walk to and from the restaurant, but also so that I wouldn’t overheat while I was in the restaurant. Well, I succeeded on the second goal, but I kinda failed on the first, especially on the walk home when it got really, really cold. With these restrictions in mind, I couldn’t put together an outfit in appropriate Christmas colors, so instead I decided on Japanese celebratory motifs and chose an obi with shochikubai (pine, bamboo, and plum) on it. Just after Christmas, I went to Tokyo for a few days to renew my passport. And of course, I couldn’t resist some kimono shopping. I got some incredible pieces and I was very, very grateful for the second bag that I took with me. As I get them co-ordinated, I’ll post photos of them! Finally, I had a quite New Years at home with my husband. At midnight, we walked up to the local temple and rang the bell. 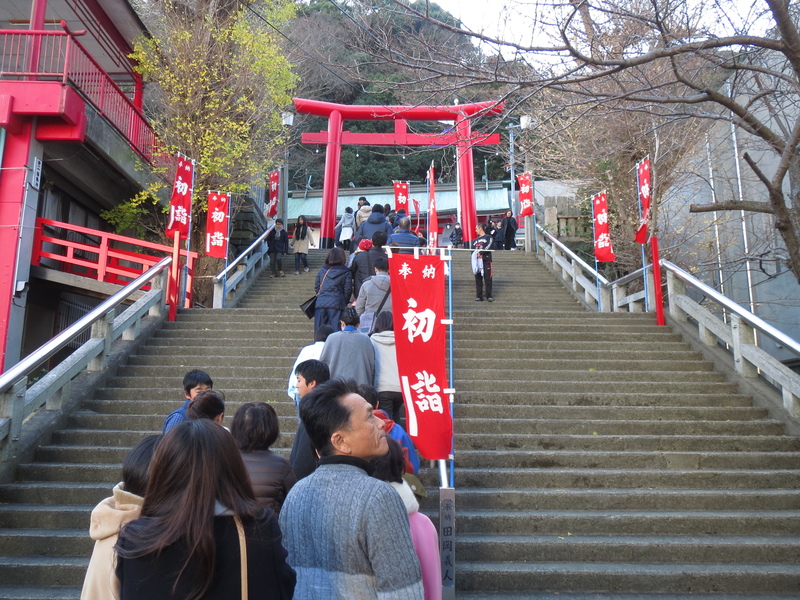 On New Year’s Day, we went to a local shrine to offer a prayer for the new year. My prayer never changes. Good health. I figure, if you have your health, everything else will eventually fall into place. Of course, I wore a kimono that day. And I took pictures this time!!! Waiting in line to offer a prayer. I was the only person in kimono, and I felt more conspicuous than ever! This shrine normally doesn’t have any attendants, so I suspect these miko are local college students earning some extra cash. 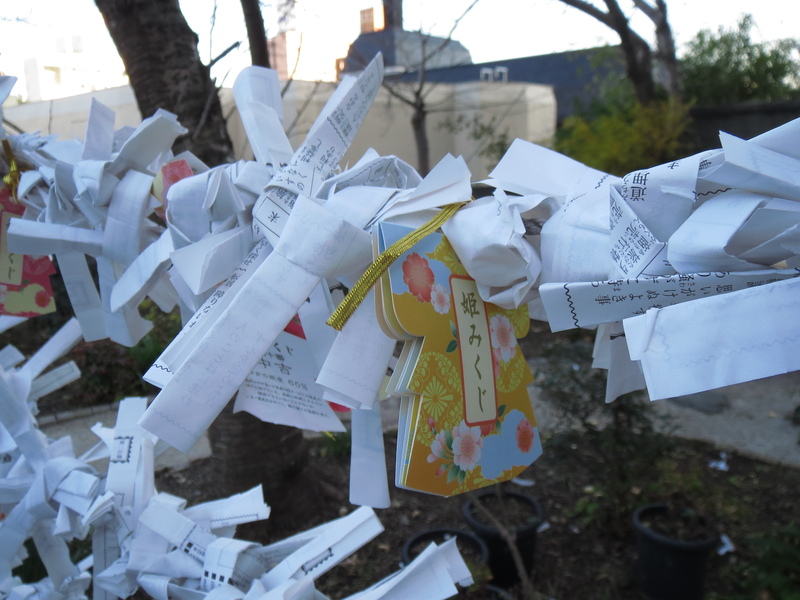 This cute omikuji (a prediction of your fortune) was in the shape of a kimono! 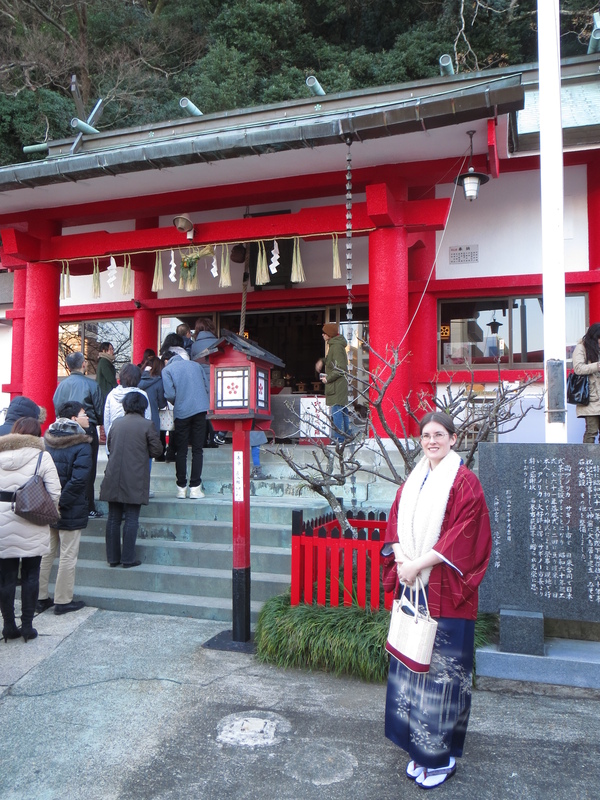 Me in my kimono in front of the shrine. 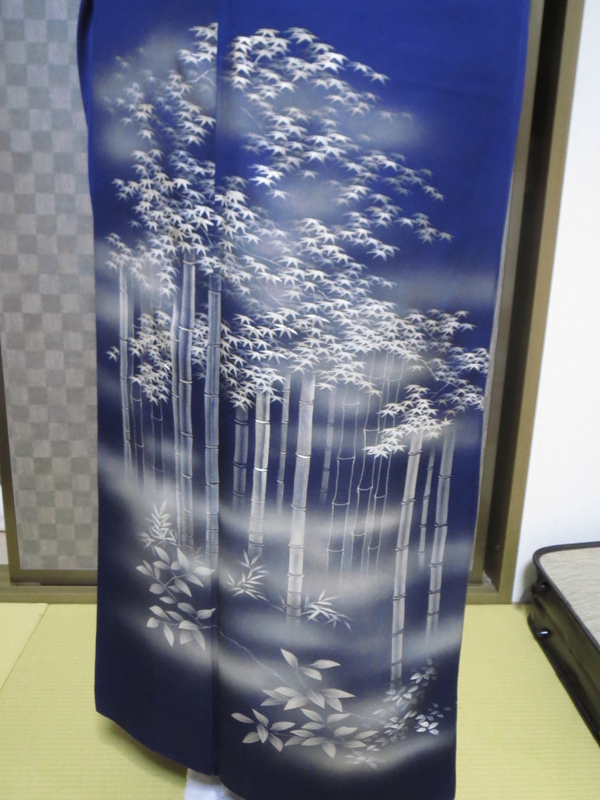 This kimono happens to be a houmongi with a bamboo motif. It’s difficult to see, but there is silver embroidery subtly placed among the dyed design. 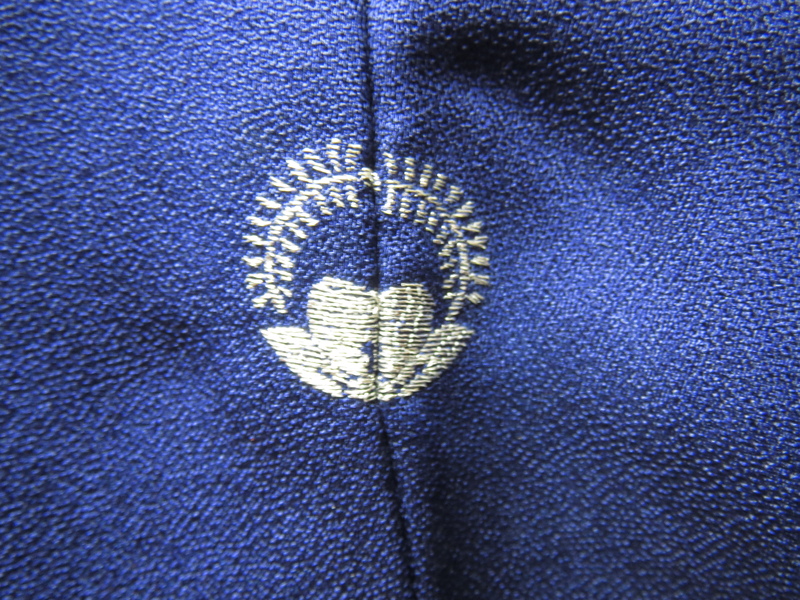 The back of the kimono has a single crest, embroidered in silver thread. This obi has so much going on! I can only wear it at New Years. 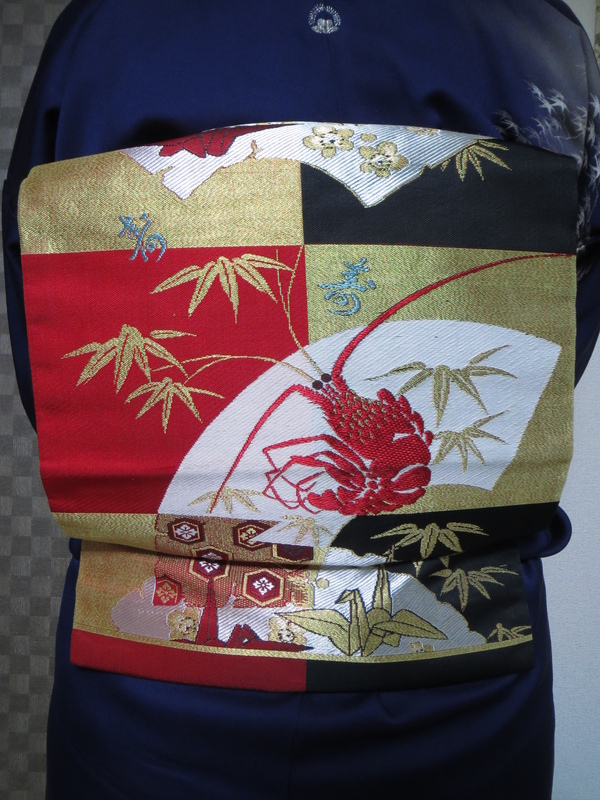 the lobster is an auspicious motif that has ties to the special food served on New Years (osechi). The bamboo and cranes are also auspicious. The kanji is “kotobuki” and it means celebration or a long life. Finally, I made some New Year’s resolutions. Well, some are resolutions, and some are goals. Resolution #1: Use what I have. I will shop for kimono and accesories with what I already have in mind instead of buying things that are pretty. 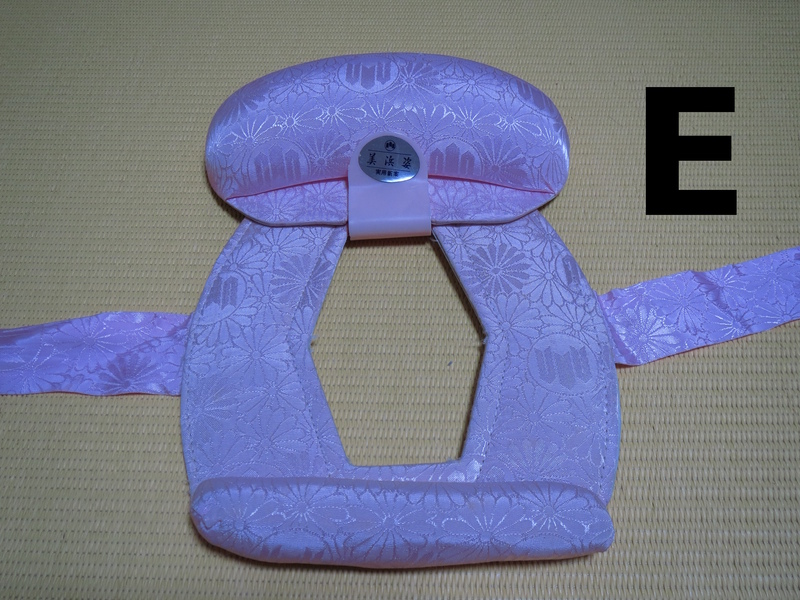 I am trying to save more money this year, and I admit that most of my disposible income goes towards kimono. Goal #1: Keep working on long term projects and building this website. I have some ideas in mind, but they haven’t been planned out yet, so I won’t say what they are just yet! Goal #2: Keep working on my Pop Culture Kimono series. I have only completed one video in the series so far, but I want to do more! I’ve already chosen the media I want to talk about, I just have to write a script. Oh, and do the recordings. Oh yeah. I need to edit it together too. Guess I better get to work! Akemashite Omedetou Gozaimasu everyone! I hope you have a wonderful 2016! On the twelfth day of kitsuke my musubi will be, fukura suzume part 2!